Anna Heinen was born and raised in Thompson, ND. She attended high school in Steele, ND, and moved to Bismarck in 2006. She currently holds an Associate Degree in Business Management (2007) and an Associate Degree in Paralegal Studies (2018). 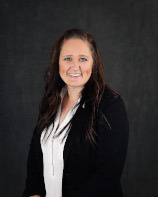 Anna has worked for Scott Porsborg and Mitchell Armstrong since April, 2013. Anna resides on the outskirts of Bismarck with her husband, Ryan, and their three girls, Rylee, Leah and Briella. She enjoys spending time with family, kayaking, paddle boarding, four wheeling, woodworking, and traveling.